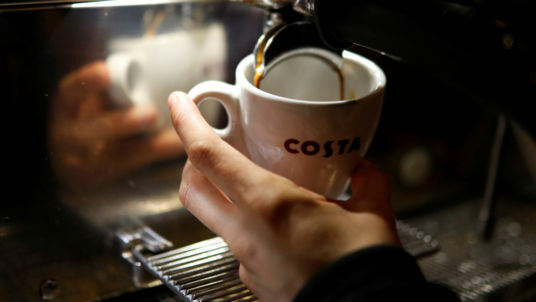 The owner of Costa has paid £35m to buy out its joint venture partner in southern China, signalling an acceleration in its coffee shop expansion plans. Whitbread, the FTSE 100 leisure group, confirmed a story by Sky News that it was acquiring the 49% stake in the partnership it did not already own from Yueda. It currently operates 252 stores in the south of China, including 93 stores in Shanghai, and Whitbread said the agreement was subject to clearing final regulatory "formalities". The company added that the existing 50/50 joint venture it has in the north of the country, with a different partner, would not change as a result of the investment and it looked forward to building on the partnership. Whitbread chief executive, Alison Brittain, said: "One of our three key strategic priorities is to focus on our strengths to grow internationally and today's announcement marks a significant and exciting step in our ambitious growth plans for China. "We have enjoyed an excellent partnership with Yueda over the past 10 years together beginning to build the Costa brand in this key market. "The coffee shop market in China is highly attractive, with a compelling opportunity for Costa to grow its presence over the longer term. "This acquisition gives us full strategic and funding flexibility to unlock Costa's potential in China, providing a strong platform to facilitate future growth, enhance the customer experience and make Costa the coffee shop of choice in this fast-growing market."